There are different types of attachment styles in relationships. People in healthy relationships have secure attachment styles, whereas others are avoidant or anxious. The way we use social media could reveal how we attach to other people, according to some research. Anxiously attached people are more likely to post about their relatonships, because they feel insecure in real life. It’s important to remember that social media isn’t real life, and it can’t cover up real life problems. How we attach to other people pretty much shapes how our romantic relationships go. If you grew up in a loving, caring environment, you’re more likely to have developed a healthy attachment style. This means you’re comfortable being open and honest with your partner, and you don’t fear intimacy. However, some people consistently push away people they have feelings for, because they believe they cannot rely on anyone. This usually comes from some sort of trauma in childhood, or it can be developed as a result of an abusive relationship in later life. According to a study from the University of Kansas, published last year in the journal Personality and Social Psychology Bulletin, there is also a link between how secure someone is in their close relationships and how they use social networks like Facebook. The research looked at four separate studies that gave insights into how people with different attachment styles – avoidant, anxious, or secure – managed their friendship networks. “If you’re high on attachment avoidance, you’re trying to avoid intimacy and tend not to trust others – downplaying the importance of emotions and relationships,” said Omri Gillath, professor of psychology at the University of Kansas, and lead author of the study. The researchers looked at the participants’ social media friendship circles, which they evaluated for “tie strength” and “multiplexity” – which respectively mean looking at how intimate they felt with people, how often they interacted, and how many roles were filled, such as caring friend or work colleague, by individuals in their network. Results showed people’s social networks and the way they managed them could be predicted from their personality type. Also, people who were more avoidantly attached were less likely to initiate and maintain friendships, and more likely to dissolve ties. An earlier study from 2014, also published in the journal Personality and Social Psychology Bulletin, looked at something called “relationship visibility,” which essentially means how often people in relationships posted about their partner online. The researchers thought people with avoidant attachment styles would show a low desire for relationship visibility, whereas those with anxious attachment styles would seek out reassurance from people on social networks in lieu of getting it from their partner, and thus post more. The results supported this hypothesis, and excessive posting about one’s lover was shown to be a cover for feeling relationship insecurity. 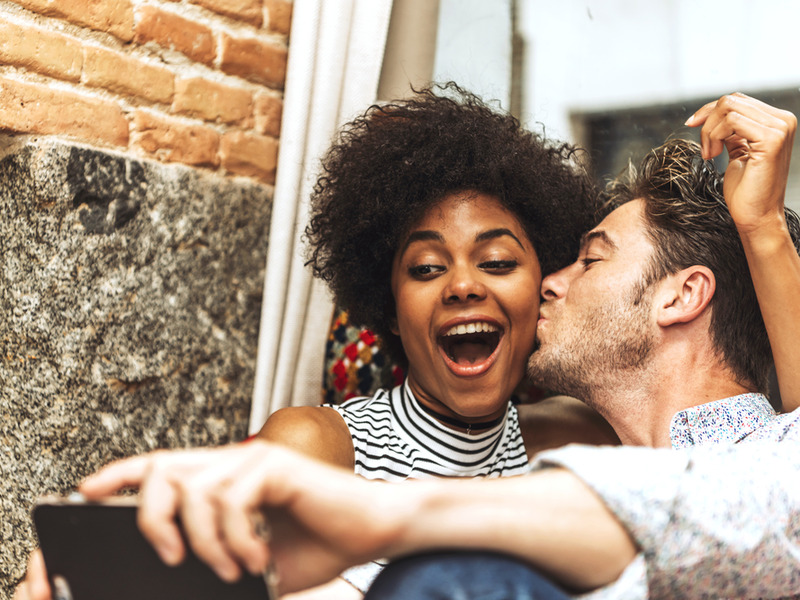 “On a daily basis, when people felt more insecure about their partner’s feelings, they tended to make their relationships visible,” the study concluded. In other words, someone who scores highly for anxious attachment is more likely to be busy posting on Instagram about their date night with their partner, whereas someone who is secure prefers to be in the moment. Of course, this isn’t an absolute rule – secure people post on social media too. But it makes sense if anxiously attached people are constantly seeking out validation for their relationship in the form of “likes” because they feel insecure. Unfortunately, anxious and avoidant people are often attracted to each other. The anxious one is pursuing someone emotionally unavailable because it feels familiar, all the time validating their anxious thoughts. Meanwhile, the avoidant one of the pair is safe in the knowledge they have a partner who is constantly after them and won’t hurt them. It’s a toxic cycle, and only exaggerates relationship anxiety, which may lead the anxious partner to post even more on social media to make up for it. Social media already has many negative connotations, even though the scientific evidence for it being bad for our health is shaky. It’s important to remember that people are always portraying their “best” selves in their posts. They could be doing it because they are going through a tough time with their partner, or they might just think it was a good photo. Either way, it’s best not to jump to conclusions about someone else’s relationship. But if you think you’re posting social media posts a lot more than usual, it could be worth thinking about whether you’re being fulfilled in your relationships or not. That way, you can focus your attention on the real problem, rather than covering it up with “favourites” and “likes” from the digital connections you’ve learned to seek assurance from.